In NC-mode there is a VERY irritating hot item color bug. look at this - all items are selected but display is very misleading! 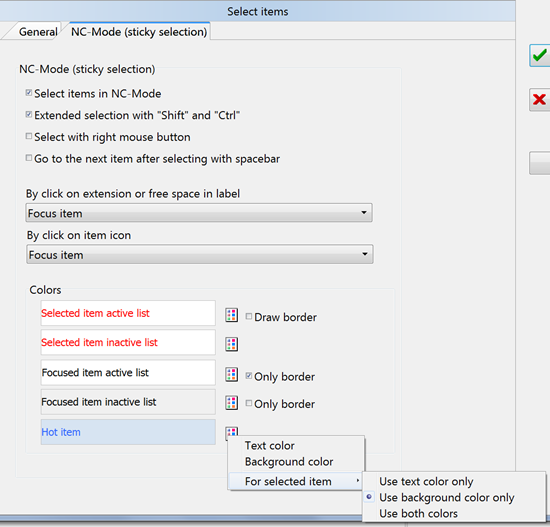 I'm not sure, it's a Windows/Explorer feature, which probably can't be controlled by FC, perhaps "Use Windows colors" option should be always disabled if NC mode is enabled. ok, I guess you're right: it's not a bug - but it is definitely not very intuitive. Are you sure it's with those options? Some options are not changed if you don't use the Apply button. Please try to restart FC and default settings. There is also Windows in the game. 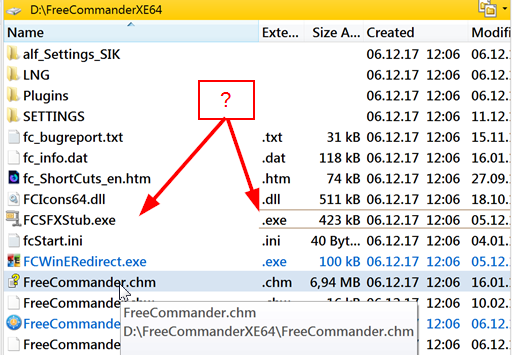 On Windows 10 seems to be ok.
FXCE_763 and later are not ok. Please test with default setting + change those options on screenshots. 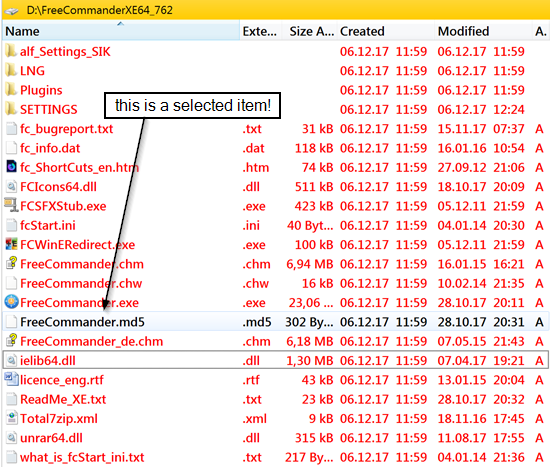 Or/and you can send the ini file to Marek via email. 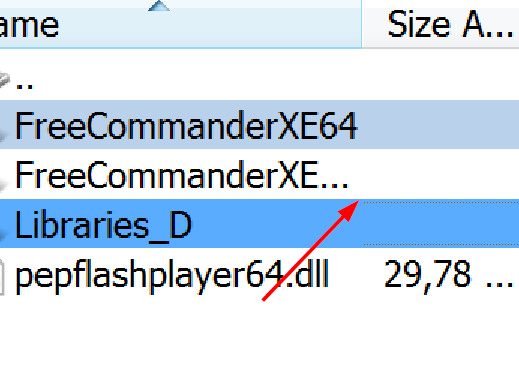 I can't reproduce with 764 64-bit donor, Windows 10 Home 64-bit. 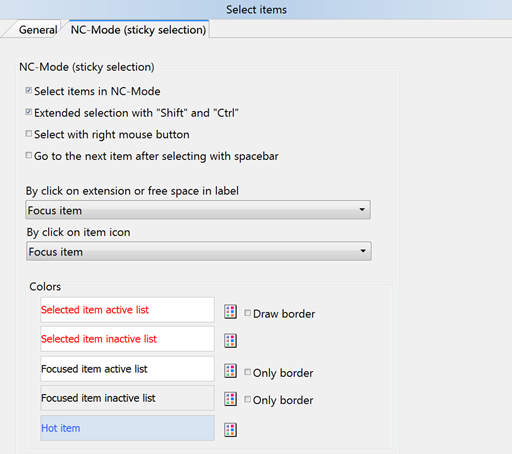 and hover your mouse over "Focused item active list" for about 0,3sec. 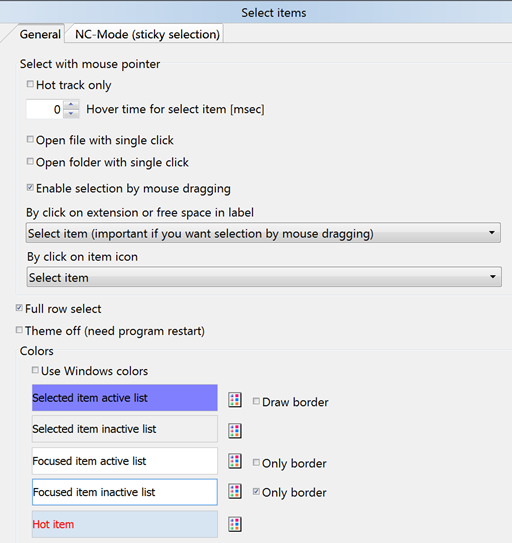 as soon as I use NC-mode in details list view colors are not correct - no need to change any of the default color settings. e.g. 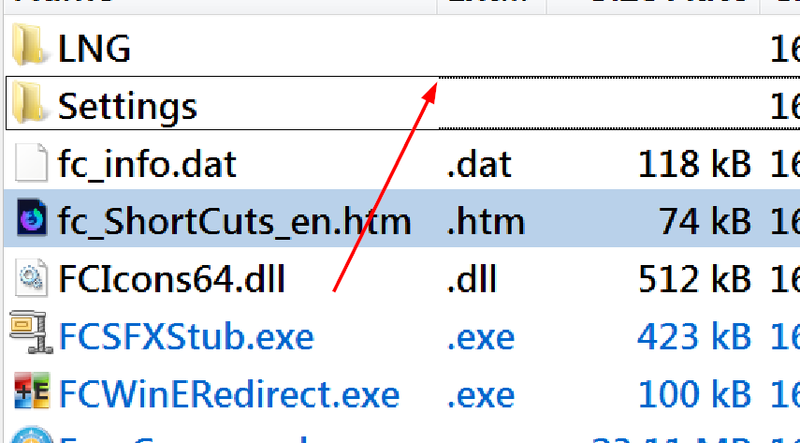 selected files are not displayed in red text when mouse hovers over them.